Robins answers how much your company should spend on marketing, while Cheek muses about what's wrong with most vendor partner programs. Question: How hungry are you? What I mean by that is, how much do you spend on marketing, sales development and organizational efficiency? The answer probably says a lot about you — your appetite for success, in particular. So says book author and channel impresario Robin Robins, founder and CEO of the Technology Marketing Toolkit. Robins helps thousands of partners improve their businesses and competitiveness. She’s especially well-known in the MSP community for her work with channel partners in the area of sales and marketing. The bottom line for her: While sales and marketing might not come naturally to most MSPs and VARs, it’s often the one thing that separates the great from the good. Anyone can get into network management and break-fix services, she says, but sometimes winning new customers comes down to your level of aggressiveness (as measured by your willingness to market yourself), not your differentiated product and services portfolio. What’s the optimum amount of money an MSP organization should devote to marketing? How are channel companies differentiating themselves? Is SaaS a real opportunity for channel partners? Are young men and women forming new MSPs that will shake up the channel? In addition to Robins, we also showcase Ciena channel chief Sandra Cheek in this podcast. Officially, Cheek serves as the company’s vice president of global partners and alliances. A member of the Channel Futures Think Tank, Cheek is a deep thinker who has served in high-level channel positions at Brocade, Ruckus Networks, VMware and more. She’s particularly focused on partner transformation and vendor realignment. 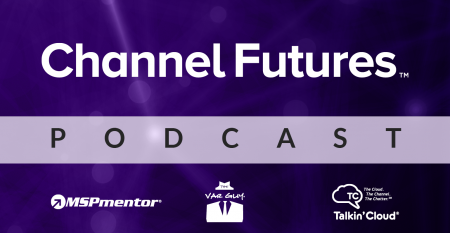 In this interview, she and Channel Futures contributor Theresa Caragol, CEO at Achieve Unite, discuss the need for vendor partner programs to adjust to the times. Consider this question that Cheek thinks about a lot: If more than half of information and communications technology (ICT) spending will be controlled by line-of-business buyers, then shouldn’t vendor partner programs be architected to reward the partners that win this business? It’s a provocative question.